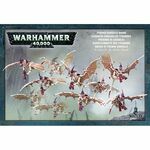 This box set contains 10 multi-part plastic Tyranid Gargoyles. Models supplied with small flying bases. 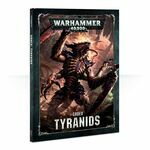 This multi-part plastic boxed set contains 59 components and one 60mm base with which to build one Tyranid Hive Tyrant or one Swarmlord.